Demi Lovato’s performance at the Baltimore Arena marked more than just the beginning of her “Demi World Tour” that will take her to 19 states and eight countries. It was the dawning of her adult career. She’s no longer the child America met when she was on the children’s show “Barney & Friends,” and she’s no longer the teenager America fell in love with as the star of the Disney hit “Camp Rock” in 2008. Now, she looks every bit of a stunning 22 year-old who has ascended to stardom after rising from her battles with drugs and alcohol, bulimia, depression and bipolar disorder that once grounded her career. Lovato’s music is a diary, her songs telling the story of a life in which she’s overcome cocaine addiction and depression to evolve from a Disney diva to a pop queen who has more than 22 million Twitter followers and more than 33 million Facebook fans. But Lovato and the crowd weren’t the only ones smiling on Saturday night. Somewhere, Baltimore Arena General Manager Frank Remesch had to be cracking a grin, as the Baltimore Arena continued to establish itself as a top-tier venue under his watch. What’s happening at the Baltimore Arena simply can’t keep going unnoticed. For years, the talk around town has been about burying the 51-year-old relic on the corner of Baltimore Street and Hopkins Place and replacing it with a new one that’s everything the arena isn’t. But the Baltimore Arena continues to consistently book the same big-time events as the region’s more modern venues. From Carrie Underwood to Justin Timberlake, from Barry Manilow to Pearl Jam, from Rihanna to Ultimate Fighting Championship and from World Wrestling Entertainment to Disney on Ice, the Baltimore Arena has breathed life into downtown during recent years, not detract from it. 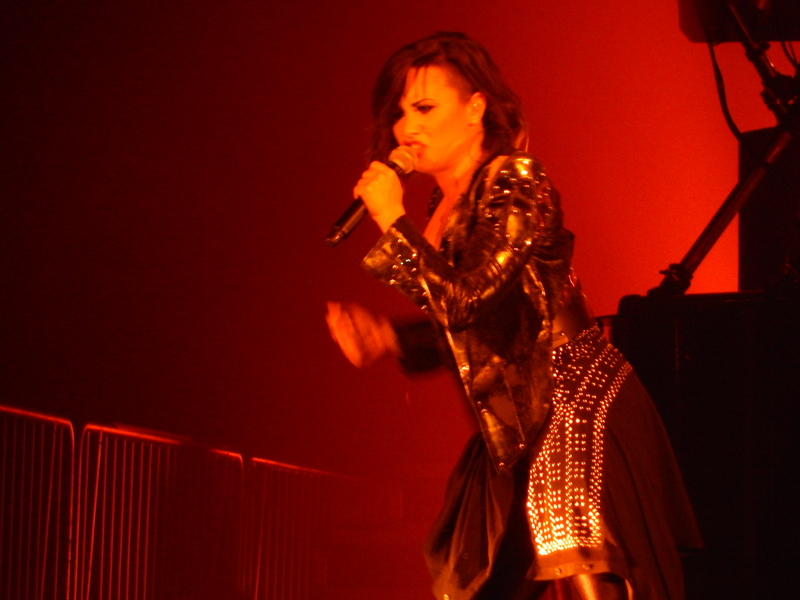 Lovato’s performance followed Timberlake’s July show that filled the arena, enabling the Baltimore Arena to lay claim of having booked two of the summer’s biggest pop tours. Lovato’s latest album “Demi” topped iTunes charts in more than 50 countries, with its first single, “Heart Attack” going triple platinum in the U.S., joining “Give Your Heart a Break” as her only songs to reach that sales mark. Sept. 9: WWE: Monday Night Raw, 7:30 p.m.
Sept. 25: Five Finger Death Punch & Volbeat, 6:30 p.m.
Oct. 10: Hip Hop Legends, 8 p.m.
Oct. 20: Washington Wizards vs. New Orleans Pelicans (NBA exhibition), 7 p.m.
Nov. 15: Shogun Fights, 7 p.m.
Nov. 19: Slipknot, 7 p.m.
Dec. 4: The Black Keys, 8 p.m.